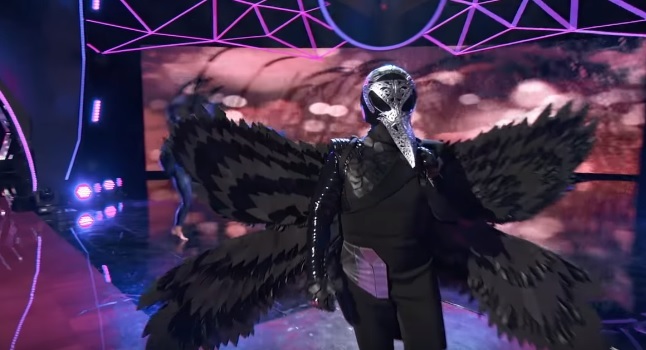 The Raven was one of the four mystery celebrity contestants who performed on “The Masked Singer” Season 1 episode 6 titled “Touchy Feely Clues,” which aired on Fox on February 6, 2019. She competed against the Bee, the Peacock and the Monster. Bareilles co-wrote “Brave” with Indie pop group Fun guitarist-drummer Jack Antonoff. Released on April 23, 2013, the song was nominated for Best Pop Solo Performance at the 56th Annual Grammy Awards but lost to “Royals” by Lorde. When the Raven sang “Brave” on “Touchy Feely Clues,” panelists Ken Jeong, Nicole Scherzinger, Robin Thicke and Jenny McCarthy were impressed by how she hit the high note. McCarthy immediately mentioned “The Talk” host Sarah Gilbert. Thicke guessed the Raven could be Ricki Lake while Jeong said she could be Star Jones. Either way, they agreed that the singer behind the Raven’s mask is a talk show host. Being in “The Masked Singer” has forced the Raven to go against all her basic instincts, especially the need to keep quiet after a career of talking to many people, she said before performing “Brave.” She also said she had a bird’s eye view of her own story by being alone with her thoughts. Later on, Thick still insisted the Raven could be Lake while Jeong changed his mind and mentioned “The Talk” host Sheryl Underwood. On the other hand, Scherzinger suggested “The View” host Meghan McCain while McCarthy suggested former “The View” host Raven-Symone.